The City of Chesapeake VA, which filed a lawsuit on June 30 to extricate itself from a contract requiring it to send 95% of its waste to the Southeastern Public Service Authority (SPSA), has received offers from four waste firms should it succeed. 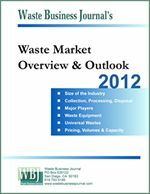 One of the firms is Waste Industries which proposes to take the city's waste at a significantly lower rate than is now paid to SPSA. The offers undermine the city's public relations effort to portray the lawsuit as an effort to protest SPSA's determination to accept out-of-state wastes, rather than escape inevitable price increases to SPSA for which the city is partly responsible. 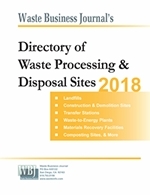 SPSA members currently pay $57 per ton for waste disposal, but this figure has been subsidized by deferment of certain future costs and thus will have to increase. Add to that increasing costs experienced throughout the industry, particularly fuel, labor and increased pollution control and compliance costs. SPSA officials put part of the blame on the lawsuit and have said that rates may have to increase to $117 per ton. For more information, visit www.spsa.com and www.chesapeake.va.us.